Monday’s amazing PSD download is an elegant MP3 player skin in Photoshop PSD format for music lovers. 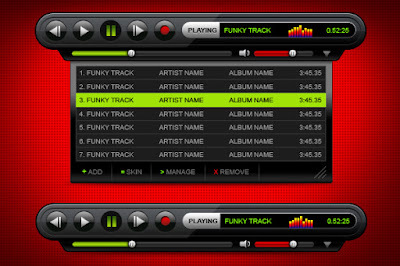 The MP3 skin PSD has both full and short version. 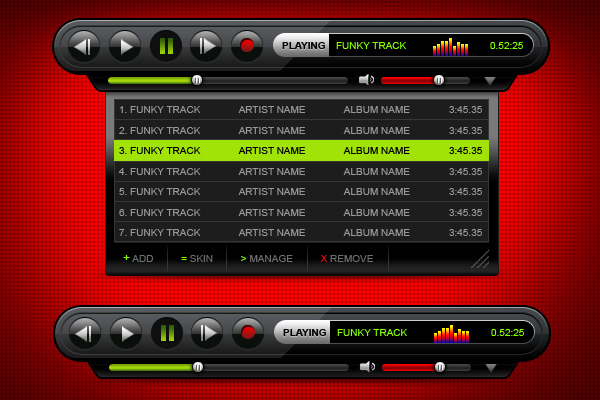 The full version includes expandable playlist editor and the short version has the player main window only. You can code the skin using XML & Flash ActionScript for realtime play.